Alan attempts to make his way out of a mysterious world with nothing but his smarts to guide him... aaand he's lost already! Once upon a time, before they started printing money with a game distribution system called “Steam”, an American company called “Valve” released a game called Portal. 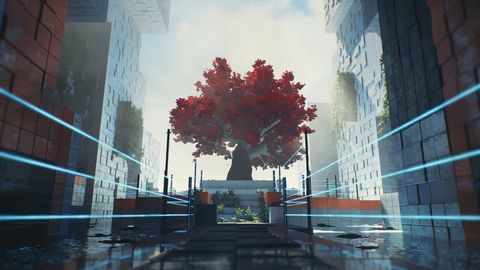 Bundled with (the much more well known) Half-Life 2, Portal quickly garnered a rightfully high amount of attention and acclaim for its clever combination of physics and puzzles, which it brought together and presented from the first-person perspective. Portal 2 doubled down on all of these elements and created what can only be described as the ultimate example - even today, some eight years later; it’s simply never been beaten and, given Valve don’t make games anymore / have a major issue with the number 3, probably never will be. Of course, any game that creates a genre is very quickly followed by other developers’ takes on the basic premise, and the Q.U.B.E. series is one of those pretenders to the throne. That’s not to take anything away from Q.U.B.E. (or Q.U.B.E. 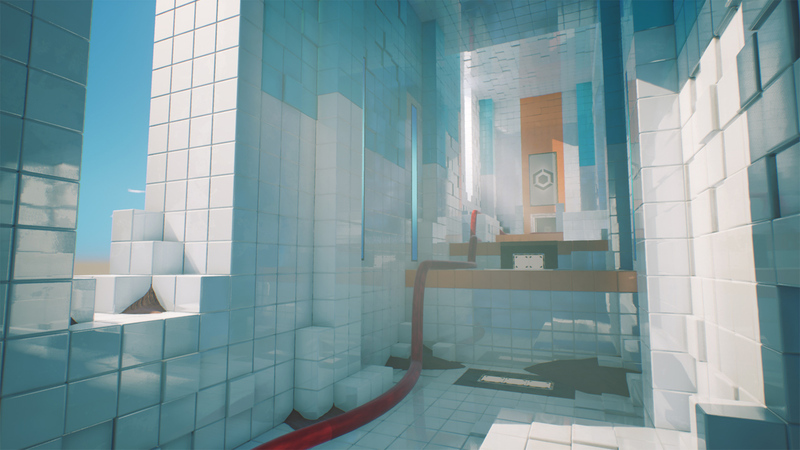 2), of course; Portal’s a great game to make your contemporary, and the Q.U.B.E. series is no clone. In Q.U.B.E. 2, you - from the first person, naturally - must find your way to the top of a tower you find yourself inexplicably imprisoned within. 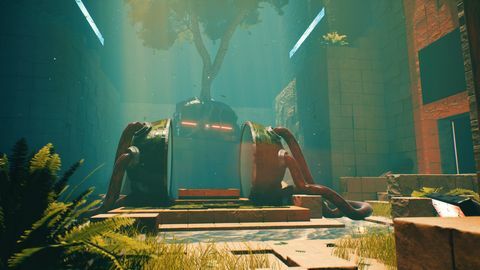 The tale follows directly on from the final version of the original Q.U.B.E., so if you played that version, you’ll know what happened there. If you didn’t, don’t worry - story is not Q.U.B.E. 2’s strength. In Portal, it was funny and well acted; in Q.U.B.E. 2 it… exists. Fortunately, the puzzle action is pretty great. To start with, your job is to figure out which of a handful of panel types you should place in any of a handful of spots where such things can be done. You could, for example, use your green power to place a green panel that makes green blocks appear. Alternatively, you could place a blue panel that makes green blocks (or your good self) fly into the air on contact. An orange panel generates a short bridge of sorts that you can stand on (or launch green blocks onto). You can probably already imagine how combining these simple mechanics can lead to a number of puzzle scenarios - and that’s exactly how things start off. Over time, the game continues to introduce new mechanics that spice up the core set of powers and make finding your way to each puzzle’s solution more and more cerebral. There are, for example, switches, fans, moving walls, and more that you’ll need to consider when trying to figure out what to do next. Most of the puzzles are pretty cool, and they tend to give you that “ah right, I see” a-ha moment that Portal itself delivered so masterfully. They’ll also leave you scratching your head for quite some time on occasion, but the difficulty and complexity ramp is reasonable for the most part. Unfortunately, the game is not without its issues. First and foremost amongst Q.U.B.E. 2’s issues are its controls. Aiming at a spot on the wall where you can place a pad can be a nightmare, with your cursor going tantalisingly close at times only to snap straight past the block to the other side with only the slightest of movements on your JoyCon. Then there’s the weird way in which, if you’re not pushing the controller stick STRAIGHT up, you move slowly (seriously, less than a millimetre left or right and you slow down - it’s bizarre and appears to serve no gameplay purpose). In combination, these two things often completely derail puzzles where you need to do something in a small time window. Fortunately, playing on the classic controller helps a lot here, but that’s a pretty terrible solution for most people. Then there’s the graphics. Taking a lot of queues from Portal here too, Q.U.B.E. 2 stumbles whenever it moves away from Valve’s visual formula. Dark areas are insanely dark, and you’ll often find yourself stumbling around due to poor use of light as a visual cue as to how you should proceed - not in puzzle levels, but in the corridor sections, the game uses as a way to give you something to do while the narrator pushes the story along. That’s far from the only graphical issue; the game really suffers from a lack of antialiasing; the entire image seems populated with flashing pixels on occasion, and there’s never a scene where there isn’t some level of alias-hell. 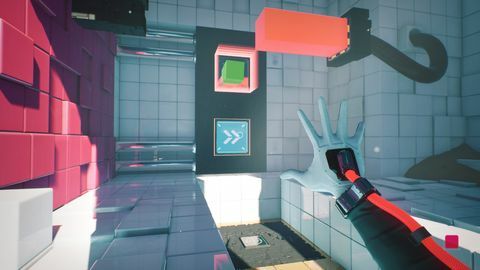 On later levels, framerate and glitches start to become a problem, too, in ways that seem barely explicable given the impressive things other developers have achieved with Nintendo’s hardware compared to the relatively tame apparent requirements of Q.U.B.E. 2. 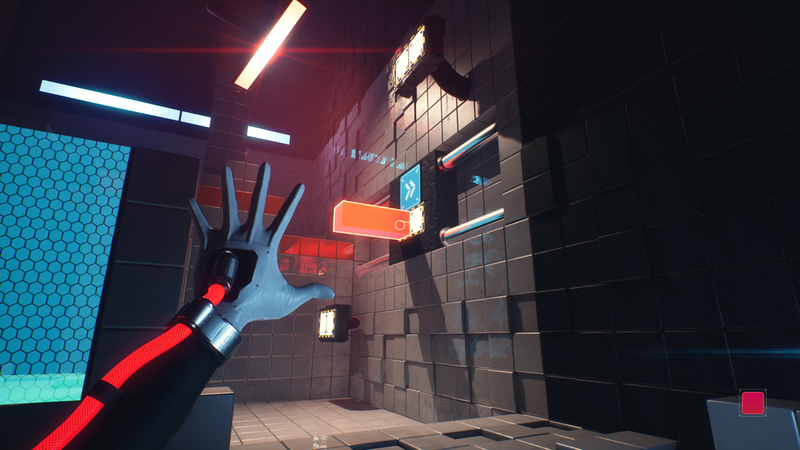 If you really liked Portal 2 and are looking for something to scratch that itch, Q.U.B.E. 2 is remarkably adept at doing just that. 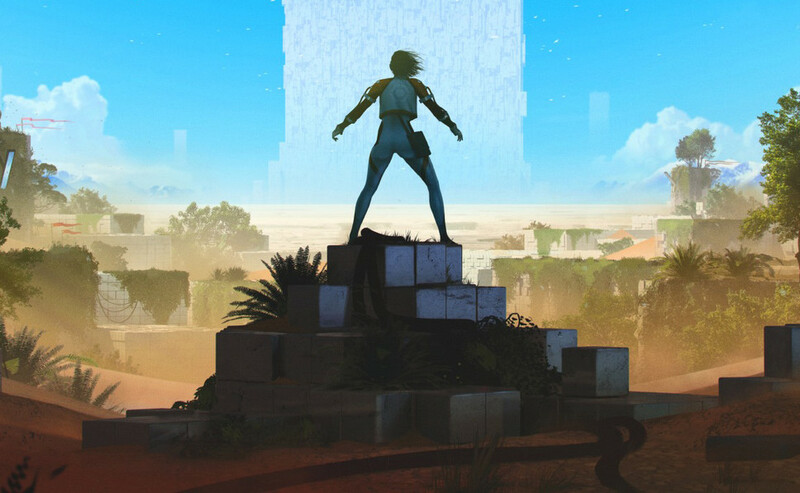 Unfortunately, the way in which it does so is a bit on the rough side and the story is only hilarious in the way it completely misses the charm and humour of Valve’s original. If you go into this expecting a rough diamond, I think you’ll have a good time with it. Ups Fun puzzles. Scratches an itch that Valve refuses to. Downs Graphical and control issues prevent it being a hearty recommendation to all.